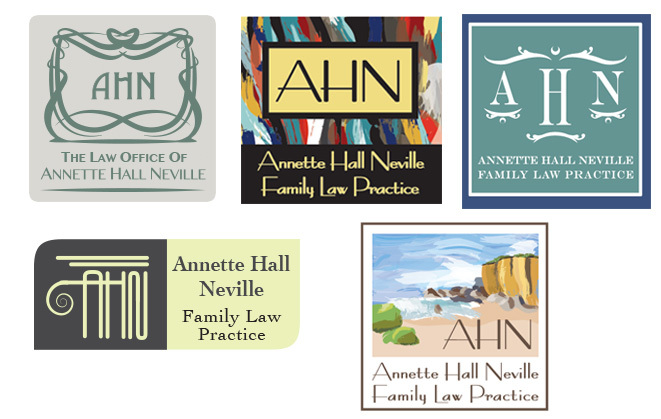 The Family Law Office of Annette Hall Neville is an experienced, client-centric family law firm located in Encinitas, Ca in San Diego County. Their attorneys work hand-in-hand with each client to aid in all matters associated with family law. The themes discussed for their logo were, France, Art Deco/Art Nouveau, paintings.